Oldsmobile Bravada was a 3-generation luxury SUV produced entirely by General Motors. Oldsmobile was the brand that received the acclaim for this vehicle. The Bravada gave customers what they didn’t get from the S10 Blazer and GMC Jimmy models. Part of the features were the 4WD and the 4.3L Vortec engine. This engine gave over 160 horsepower. This was unheard of at the time for a luxury V6 SUV. These are the very same Oldsmobile Bravada engines for sale we have inside our warehouse. Get the price you want without doing a lot of research to get it. 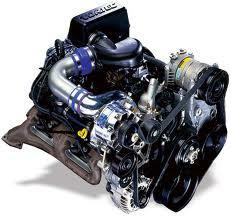 People around the world buy our car engines for sale everyday. The strength of GM technology has always been its Vortec series of engines. These were created to give vehicle owners more power. The legacy of the small-block engine now has a competitor in the Vortec. From the first introduction in 1985 to its current lineup, General Motors helped create the legacy of Oldsmobile. The disbanding of this brand is nothing to worry about. We still and will continue to still buy these used or rebuilt engines. Our team is successful because we listen to each and every customer. We always work hard on customer service and maintain our engine integrity. A Bravada engine that gets remanufactured here is a unique thing. The Vortec 4300 engines that we start with end up just like new. The heavy duty cleaning that we do is just the first step. It is the taking apart of a Vortec that is the most time consuming part. We don’t settle for shady work here. We put days into each rebuild. We want our customers to feel like they just purchased a new V6. Most of them confuse our engines for new because they are that great. Settling for a poorly quality engine to save a buck never happens here. We give the best, take less for it and provide a great resource to buy used and remanufactured motors. A great engine should not cost so much to replace. We keep pricing at the lowest levels here at www.carenginesforsale.com. We use a Vortec 4300 engine quote form here. This quote form does just as good of a job as our team does. The pricing is accurate always. Use the form and get your 24/7 low price. Call us at 1-877-630-3873. It’s fast and simple to save money buying Oldsmobile engines.